As the key component of any modern heating system, it is imperative that you organize regular boiler servicing. Whether it be a model that is fuelled by gas, oil, or solid fuel it will need to be looked after and kept in as fine a condition as possible. This is an easy step in the direction to keeping a regular balance and smooth running home. If you have forgotten about your boiler over the years and have neglected its well being, you may well be playing a very dangerous game with regards to your life. A gas boiler, for instance, might be leaking toxic carbon monoxide without you even realizing it. This puts you and any other house hold members, family and friends at risk. A domestic plumbing service can quickly check this out for you. By choosing the right plumbing firm for your home you are gaining massive advantages. It is possible to keep your costs down, as a trained engineer will be able to identify and tweak a boiler and all other plumbing systems within your household, so that they are working to their fullest potential. If it is not running at full capacity your energy costs might be higher due to it having to run for a lot longer to achieve the same results. A regular service will check that all parts are functioning properly and that everything is in order. A regular service will increase the life span of your boiler which can only be a good thing financially. If you are in a position where you need to replace your entire heating system, the bill could be an incredibly huge one. Do not even think about that, just research the best domestic plumbing service for your needs and get it checked. It can also be an advantage to find a team of plumbers who can almost become part of your lives. It is better to find someone with whom you can build a long term and trusting relationship with. If things go wrong around the home, you know they are just a phone call away and ready to help. Financially there is more incentive in the long term too, and you don’t have to play a guessing game at who best to pick for the next job. You will also be helping out the environment by providing your system with a health check on a regular basis. If it is not functioning correctly and you leave it, it is more likely to create unhealthy emissions and give a lower rate of value to your home energy wise. Fine tune the system and it can easily maintained and work to an optimum level to help the environment. 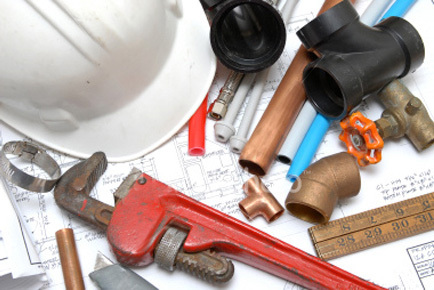 A good company like us, Advanced Professional Plumbing and Heating Services will provide you with all of this piece of mind, as well as the option for fast breakdown recovery, all types of plumbing. They are in a position to provide all the safety certificates that are required to legitimately heat your home. When picking out your regular boiler servicing make sure you have chosen the correct domestic plumbing firm. You want to keep your family fit and healthy, and this goes a big step towards achieving that.